Oh man I am behind on blogging. There are all these other things to do when we are home, so complicated. We have so many photos from our last week in Krakow and Warsaw that I would like to get up. 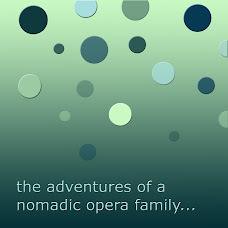 (I blog mostly for our history, since some day I hope to catch up on making our annual family blurb books, that I make from the blog). I would have done more blogging from Poland but we had a 3 day Internet outage our last weekend. This was very bad for us because we did all our phoning on skype. We were trying to meet up with a lot of people that weekend, and we had to get very creative to communicate. So the house is getting ready for Christmas. It is so fun to see the kids get excited. Colin was getting out some ornaments yesterday and just saying over and over that they are beauty. I am using Santa too much to my advantage. This morning Colin was having a tantrum about wanting to play with my jewelry box. I told him I was going to have to call Santa to report his naughtiness. We sang "Santa Claus is coming to town" and a few minutes later he told me he was ready to be a good boy. Not my best moment in mothering. Colin does not really need help getting more excited about Christmas, but we are starting a new family tradition this year that we are excited about. I think we heard the idea from our friend Lindy. The ideas is to wrap up 24 Christmas books and open one every night leading up to Christmas. My mom has so many cute Christmas books that it is easy to find 24 in the house. It seems like a fun way to keep bringing Baby Jesus into the whole equation. Granted we have only done this one night so far, but we had a really fun story time last night and Colin is excited for more daily presents. 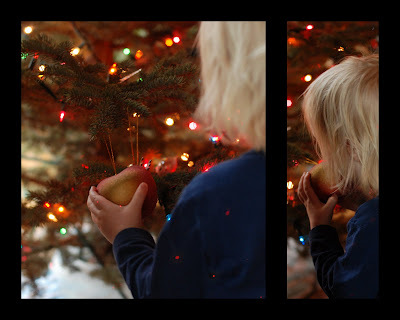 Jane trying to eat the apple ornament. We also have some lollipop ornaments that we have to hang up really high. Ann, what beautiful pictures! 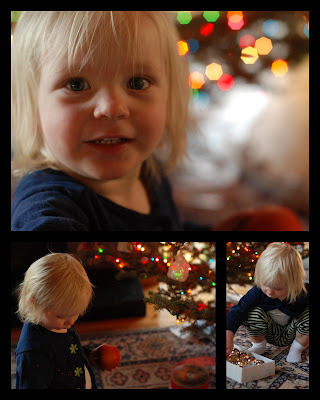 I would love to know what settings you used to get those lovely shots with natural looking Christmas lights (rather than orange-ish ones I always get) and nice close ups of the kiddos. It must be nice to be back home for a little while - did you find any fun ornaments or nativities in Poland? Anne! I need to send you an email with lens info! Those photos were taken with our 50 mm 1.4 lens, so you can avoid flash. I had this lens from back in my film cameras days but Brian got me a digital one last Christmas. I think he got an ok deal on Amazon, so hopefully they could ship to Japan too! He has researched lenses more recently than I have, I should have him email you.